Purebred Trakehner mare foaled 6/1992. By Avignon II out of The Princess Conde by Richardo. Tanzania has had 6 foals. 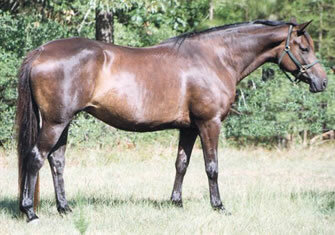 She is the dam of the Approved Stallion Tycoon and his full sibs Toska, Tazerin, Tytus, Tenorio and Tejas. Her first foal was a filly by Adelssohn. Tanzania foaled on Feb. 22, 2005 at 10:30 PM. Mom and filly are doing fine. This mare is for sale. She may be purchased by herself, bred back or as a three in one package. Contact us for pricing.